Venice is one of the busiest cruise ports in the Mediterranean, with nearly 500 ship departures and 700,000 passengers per year. The Cruise Terminal is located near the 4km causeway that links the city to the mainland. ParkVia offers alternative solutions for Venice Port parking, and allows you to choose from a range of parking options including covered parking, open air parking and low cost options. The car parks offered are secure, open at convenient hours. Parking at Venice Port and in Venice in general can be very expensive, but with ParkVia you can choose from spaces close to the port or on the mainland around Mestre. ParkVia also offers an exclusive, central and covered car park in Venice’s very central Piazzale Roma, which is within walking distance of the port and very well connected via public transport. 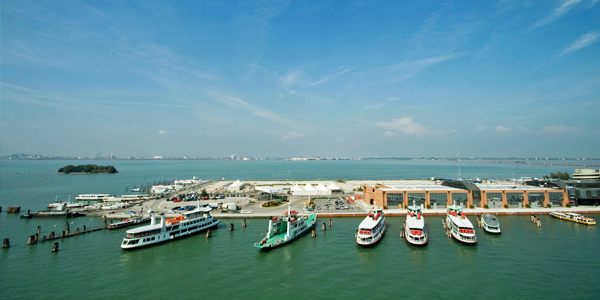 The Port of Venice is the eighth busiest commercial port in Italy, and is one of the most important in the Mediterranean for the cruise sector. Acting as a major hub for cruise ships, its main destinations include Greece, Egypt, Croatia and Slovenia.